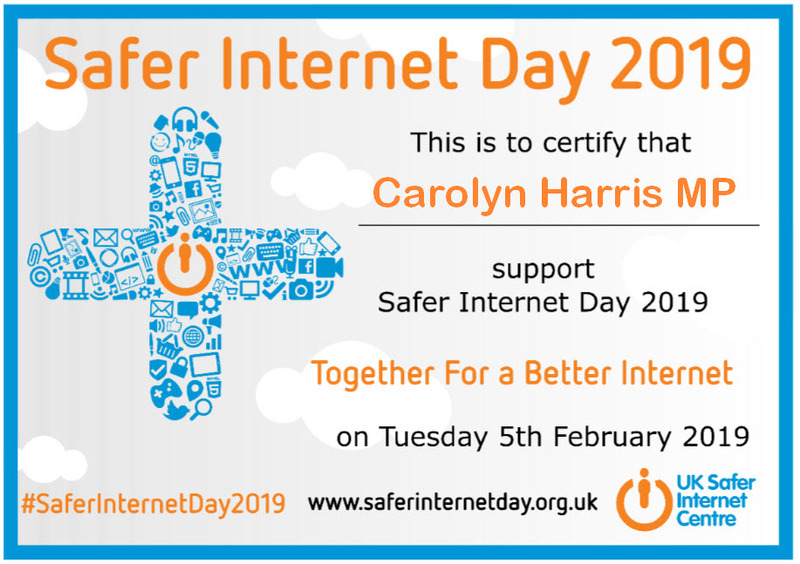 Carolyn Harris MP has added her support to a global awareness campaign and is encouraging constituents to help make the internet a better place this Safer Internet Day. On Tuesday 5th February 2019, millions across the UK and globally will be celebrating Safer Internet Day and the Swansea East MP has pledged support along with hundreds of schools, parliamentarians and organisations across the UK. Promoting positive messages online, whether this is by backing a cause, helping a friend, reporting abuse or by showing support for your local club!